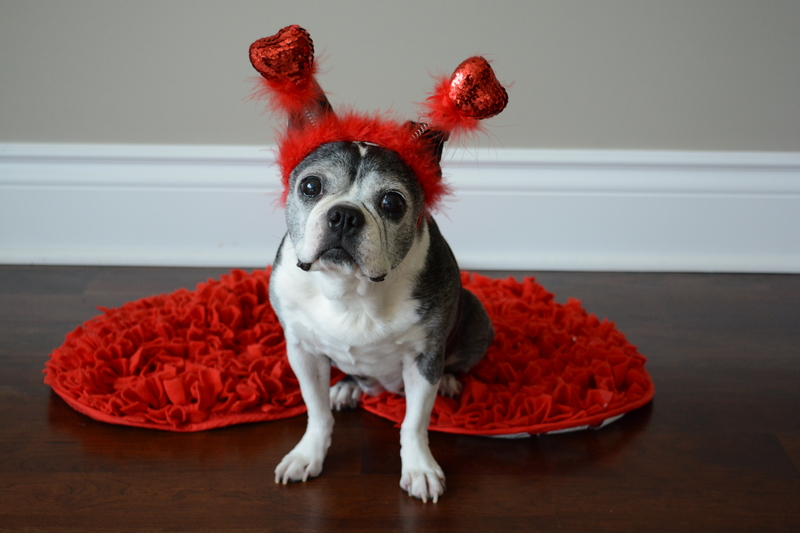 It’s Valentine’s Day, and Oscar couldn’t be more excited! 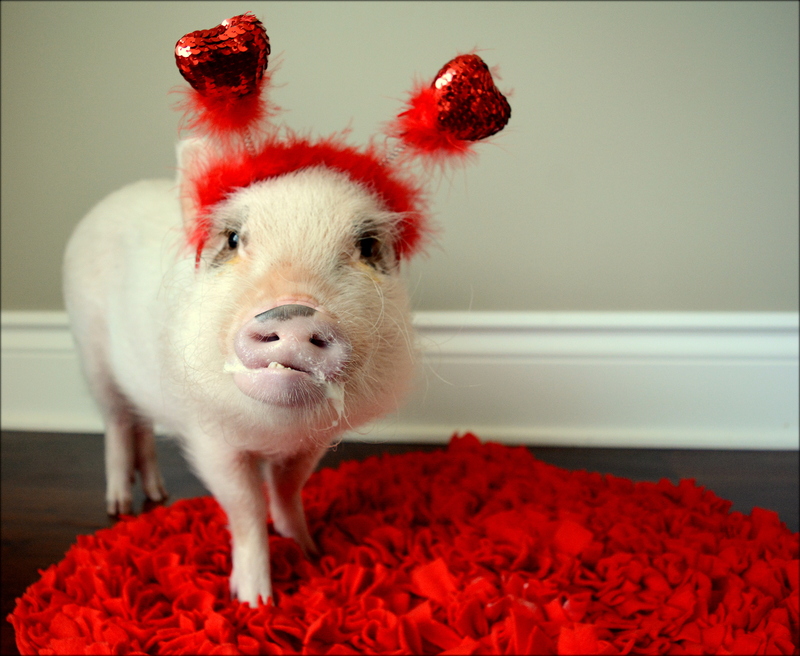 For him, it’s a day filled with cuddles and candy. For us, it’s a day to appreciate him and the love he’s brought to our lives. 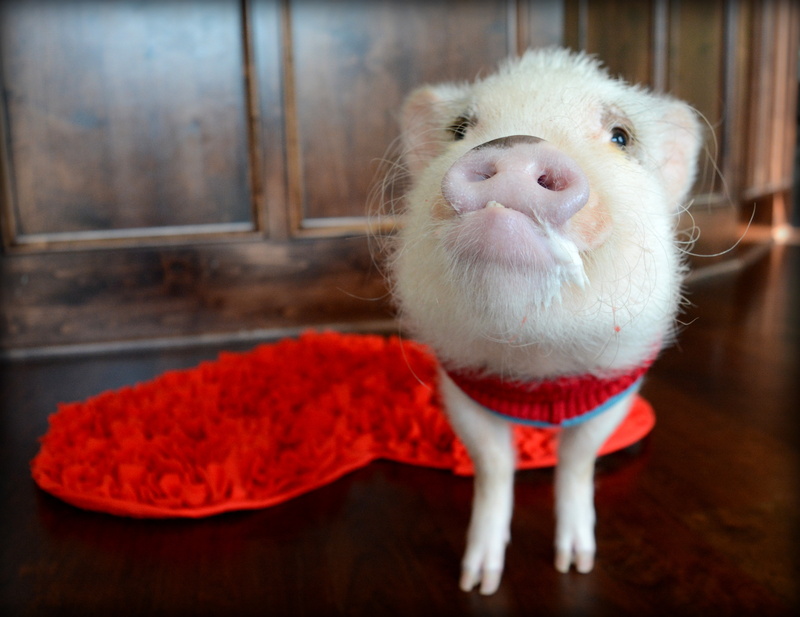 Not every moment with a mini pig is easy, but he makes us smile and laugh every single day. 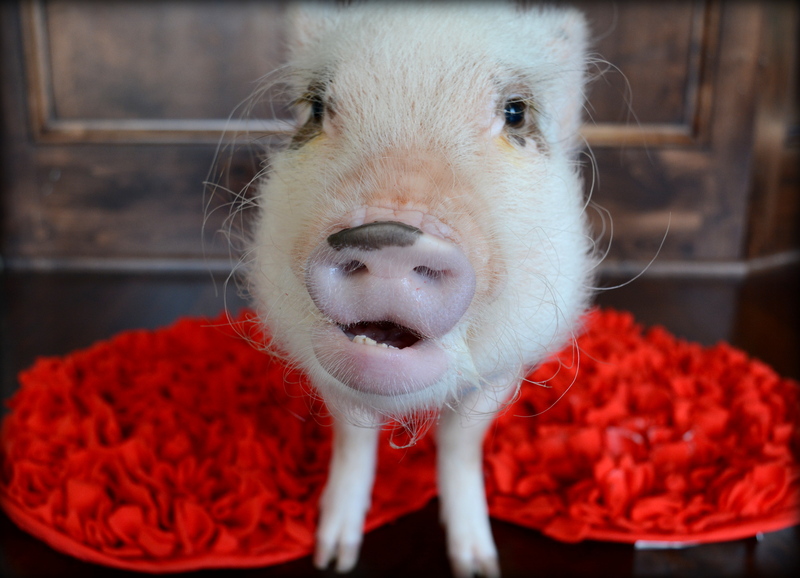 There is a quote floating around social media that defines a pig as an “emotionally unstable pint-sized dictator, with the uncanny ability to know exactly how far to push you towards utter insanity, before reverting to a loveable cuddle monster.” Based on our time with Oscar so far, I couldn’t agree more. He drives us crazy some days, but we still love him more and more each day. 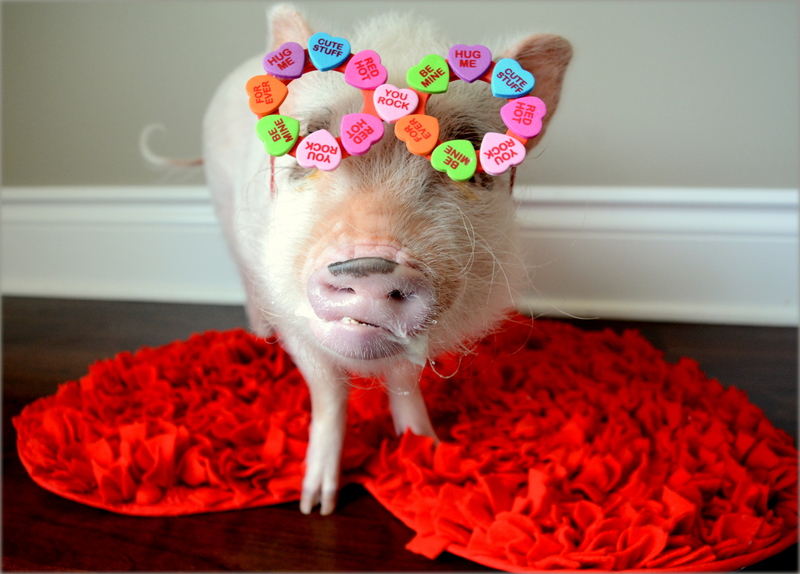 Happy Valentine’s Day from Oscar and family! 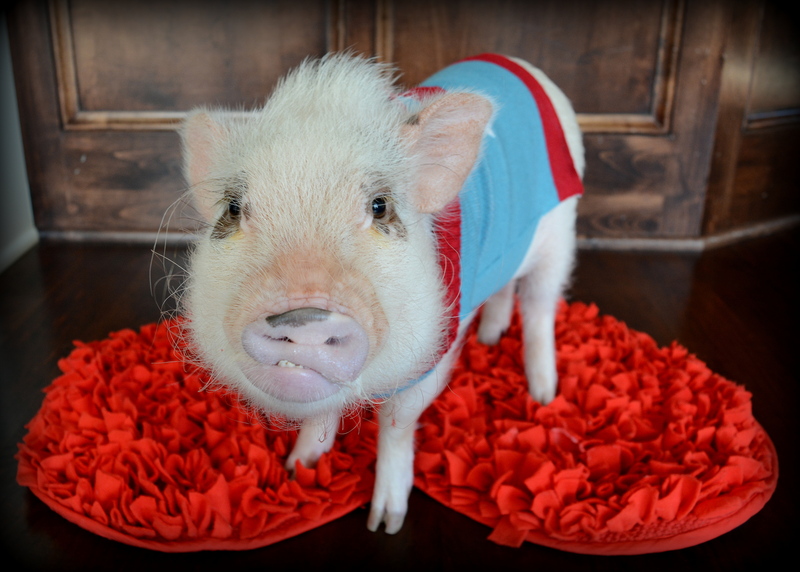 Mini Pig Oscar is Ready for Mardi Gras! I love all of these pics!!! That quote is so true. 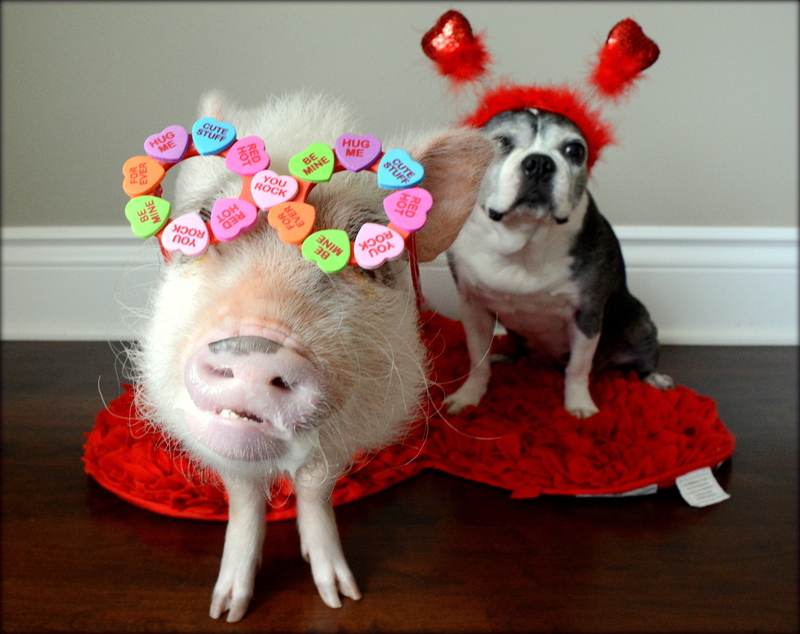 Oscar and Rylee both look cute in their Valentine’s Day outfits. Are they getting along better?